The iPad mini 2 is flawless in so many ways. From a rich app catalog to the best design on the market, the mini 2's only real downfall is its price. If your pockets are deep you'll simply love it. Update: While it doesn't tote the same Touch ID goods as the latest iPad Mini 4, the Mini 2 still got a hearty update with the arrival of iOS 9.3. Night Shift brings intelligent color temperature-shifting tech to the iPad Mini 2. Whether you're tablet surfing in the morning or nighttime, this new feature automatically shifts the light emitted from the display to a hue of yellow that's much easier on the eyes. While it might not sound like a big deal, it's hard to go back to a life without Night Shift. The change in the screen's color temperature is said to assist in keeping your circadian rhythm in balance. Meaning, unlike other screens, the iPad Mini 2 with Night Shift won't mess with your sleep schedule. Wondering whether it actually effective at what it sets out to do, we took it to task for a few days. The result? Less eye-strain and improved sleep efficiency–both good things. 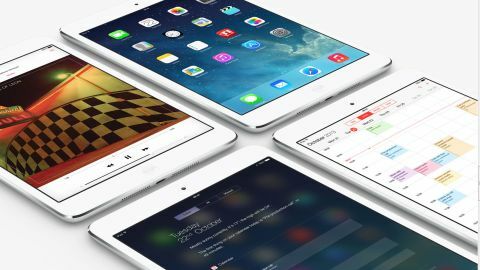 We look forward to the features coming down the line from iOS 10, which the iPad Mini 2 has been confirmed to support. Curious to see what sorts of new features are coming down the line with the iOS 10 upgrade? We've done the legwork and have served up our first impressions of the latest software. The iPad mini 2 was, in 2013, Apple's next step in the smaller tablet wars – and with Google and Amazon stepping up their respective games, the Cupertino brand needed something that hit back with strength. However, even with that landscape, I was still surprised when Apple announced the iPad mini 2 on stage, coming with things like the A7 chip under the hood and a 128GB iteration to satisfy those that crave a lot of HD action (although you're now stuck with 32GB maximum). On top of that, there's the much-needed Retina screen (as the name might have told you) and an improvement in battery size over the first iPad mini to help power those pixels more effectively. However, there's the big issue of price, which Apple has had to balance carefully over recent years. While it's dropped since the launch of the iPad mini 3 and iPad mini 4, you're still looking at £219 (US$269, AU$369) for the lowest-spec 16GB model with Wi-Fi connectivity only – and Australia didn't even get a price drop! Given Apple's decision to allow users to download the iWork catalog for free, as well as Garageband and iMovie, you'll really be looking at buying the 32GB tablet option to keep things sane. The doubling of the internal storage will set you back another £40/$50/AU$60, but it's well worth the extra expense in my eyes. Despite an arrival of a slew of cheaper Android tablets in recent years, the iPad mini 2 does still feel like decent value for money given that it's not a loss leader over Google and Amazon, and not just because of the tired "Well, it's an Apple device and therefore spending more should be expected" excuse. I've never bought into that, and never will. Apple makes well-designed and premium products, but as the extra cost for larger capacities illustrates, it's not always justified. The iPad mini 2 is an excellent device. There's no other way to look at it. I was pretty impressed with the original mini when it launched, but bemoaned the low-res screen and under-powered chipset powering things along. So I fully expected the iPad mini 2 to be another sidekick to a bigger brother, and with the iPad Air showing itself at the time to be the best tablet on the market, I fully thought we'd be getting a smaller iPad with a Retina screen and an A6 chip – so the decision to make the tablet 64-bit enabled with an A7 CPU was a really great thing to see. It takes an already well made device and adds in so much more: the aluminum finish no longer feels like a deflection from the fact the original iPad mini didn't have the engine to compete with its Snapdragon-powered rivals. Check out the benchmark speeds later and you'll see just how much better the CPU is for day-to-day tasks over its predecessor and, coupled with the rich app ecosystem and improved operating system, you'll see how Apple justifies charging the premium price. The addition of the M7 chip in the iPad mini 2 seems on the surface to be a little redundant, given you won't be doing much in the way of exercise with the mini strapped to your arm. However, there are journal-style apps that use information on where you've been and the weather at the time – tiny tasks that don't need the help of the larger chip, but in all honesty, it's just not needed.